A Jaguar performs best when it is maintained by Jaguar certified mechanics. That’s why it’s important to have it inspected and serviced at the recommended intervals. Wilde Jaguar Sarasota is a full-service Jaguar automotive center providing auto repair, maintenance and detailing in the Sarasota-Bradenton-Venice and St. Petersburg-Tampa Bay areas. From quick oil changes and air filter replacements to transmission repair and engine overhaul, our master certified mechanics are trained to service all Jaguar models in our state-of-the-art-equipped service bays. Customer comfort, convenience and satisfaction are top priorities at Wilde Jaguar Sarasota’s service department. You can go about your day using our shuttle service or loaner vehicles, or wait in our customer lounge with complimentary snacks and free wi-fi access. 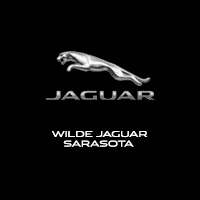 Wilde Jaguar Sarasota offers valuable service coupons to our service customers. Save on oil changes, air filters, wiper blade replacements, tires, car wash and detailing, brake repair and more. To schedule service, please submit our service appointment form. A Wilde Jaguar Sarasota Service Specialist will get back to you shortly.